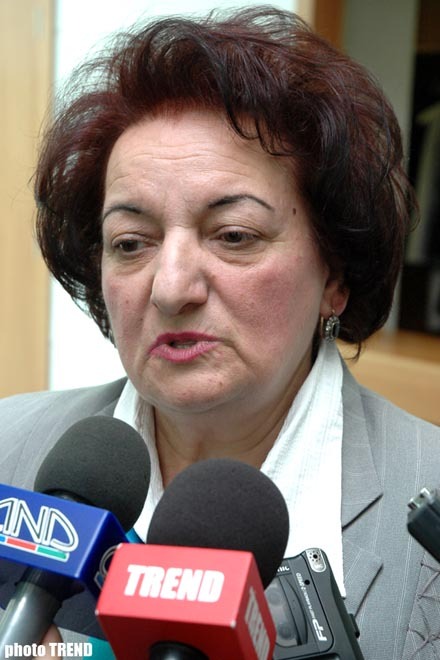 Employees of the Ombudswoman`s Apparatus have not revealed any principle violations during today`s municipal election poling in Azerbaijan, however there have been some shortcomings, Elmira Suleymanova, Azerbaijan`s Ombudswoman told Trend today. According to her, 20 employees of the Apparatus were sent to the regions to observe the election process. Ombudswoman`s Apparatus is receiving on-spot information every hour. Among those isolated instances on tiny violations, Mrs. Suleymanova pointed out the facts when single voters have not been put into the voters` lists. In addition, in one of the polling stations of the Gazakh District a fact when one of the two ballot-boxes was not sealed up has been detected. The Ombudswoman also pointed out a lesser number of both international and local obsercers in the elections. Mrs. Suleymanova herself is observing the polling stations in the Absheron District, including the Baku villages (settlements) of Pirallakhi and Buzovna. The municipal elections is of great importance to all us, though somebody undervalues its importance, told the Ombudswoman and added that if to speak about democratization, then every citizen can take an active part in the election process.